Our guests love our place because it feels like home! Look out the wrap-around windows to the mountain views and then walk downstairs in your slippers for a breakfast at the new European-style cafe! Or stroll to Main Street's fine eateries, watering holes, and shops. Our well cared-for condo has fine linens, down comforters and a full kitchen! With almost 900 square feet, you will have room to stretch out. Plus, you will be close to the express bus stop to Breckenridge & Copper Mountain. Includes ASSIGNED, off-street parking, and tub/shower. The Fourth and Main complex is cozy (4 units) with outside hot-tub and patio. Frisco is a great place for winter or summer sports. It is centrally located to many Colorado resorts: 8 miles to Copper Mountain, 11 miles to Breckenridge (express bus service available), 12 miles to Keystone, 17 miles to Arapahoe Basin and 25 miles (freeway) to Vail. There are two cross-country ski areas nearby. For summer, you’ll like the proximity to the bike path (3 blocks), Lake Dillon, great hiking, and some of the best mountain biking around. Of course, there are great rivers for kayaking, fishing. I loved the Frisco area the first time I visited in 1998! You can be sure the condo will always be in great shape as I spend plenty of time there myself. I fell in love with the 180 degree windows that look right onto Main Street and give you a great view of the mountains. One guest of mine said he felt like the 'King of Frisco'! Full bathroom, with tub and shower. COMPLETELY REMODELED Nov. 2016! Condo's many windows overlooks small village of Frisco. Hi speed internet IN THE UNIT with WIFi. Lovely living room with wrap-around windows. Updated in 2015 & 2017 with new over-stuffed chairs, reading lights and plenty of places to charge phones, iPads, etc. 4-burner electric range with oven. You will find lots of staples, spices. A cook owns the place! Dining table plus breakfast bar. Expanded cable. HBO, Showtime. FREE Hi-speed cable internet too with WiFi Living room TV is Smart TV... watch Netflix, Hulu, Amazon video. All units in this complex are on the second floor, the access is by 1 flight of stairs,...there is NO elevator. Outside hot tub, shared with 3 other condo units only. ASSIGNED PARKING SPOT (off-street)! Hi speed internet with WiFi. Free direct shuttle bus within 3 blocks to Copper, Breck and other buses to A Basin, Keystone, Vail, Beaver Creek. Bedrooms - One bedroom with a queen bed, and the living room can sleep 2-3 others. Sleeper sofa with a double bed (sleeps two) and a blow-up aero bed also sleeps one more. Tempurpedic mattress covers, high-quality linens, big, soft towels. Laundry - No washer in the unit, but a great coin op laundry right across the street. Shopping - Safeway, Whole Foods, WalMart nearby, sporting goods and ski rental shops nearby 2 TVs (new 32' HD TV! ), extended cable, Showtime and HBO, (HI speed internet with WiFi), DVD player, DVDs, books, board games Full kitchen, equipped by a cook, includes staples, spices, blender, crock pot, coffee maker. 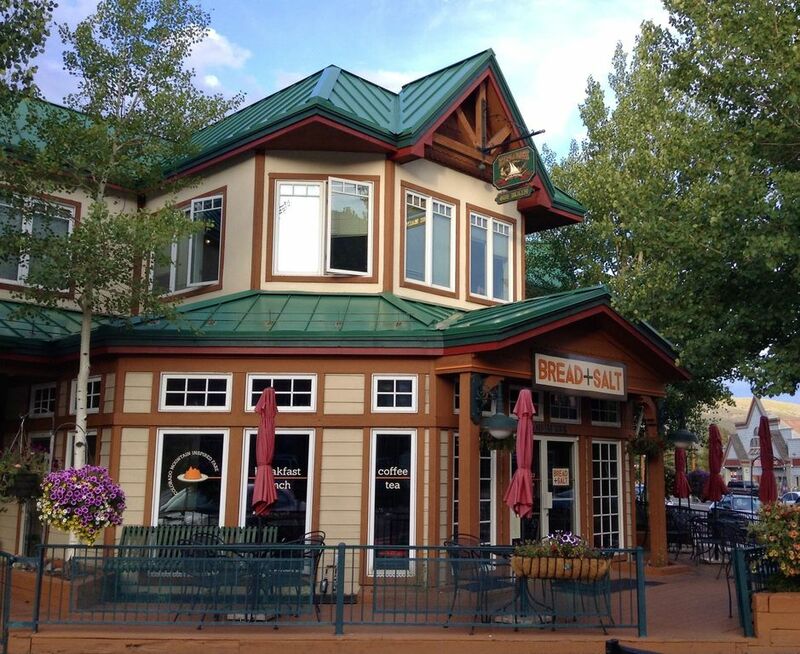 Dining - Main Street has many sit-down restaurants and bars including '5th Avenue Grill', Bagali's, Jonny Greco's, Backcountry Brewery, Vinni's, Silverheels. We loved our stay here. The condo was great. The 180 degree view of Main Street Frisco and the mountains is great. Check in and out was easy and convenient. There are some great restaurants, stores, coffee shops, and breweries all within an easy walk. The hot tub in the courtyard was a nice amenity as well. We'll definitely look at staying here again next time we are in town! Biking (road and mountain), near bike path, Ask about kayaking and MTB hints!! !